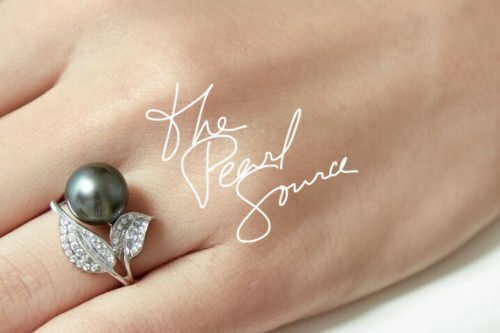 Cultured pearls are truly a marvel, and the Chinese have effectively become masters of the freshwater cultivate pearl industry. Although cultured pearls date back as far as the early 1900s, the Chinese didn’t start to implement the practice until the 1980s. Although it took about a decade for them to perfect the practice, in the 1990s Chinese pearl farmers really started to hit their stride. Chinese pearl production came at just the right time: Lake Biwa in Japan, formerly one of the world’s top sources of freshwater pearls, began to have issues with its pearls due to pollution problems. China stepped in to fill the void. And with its countless lakes and other water sources, it wouldn’t take long until China’s pearl production figures would begin to rival those of Japan. And today, modern Chinese cultured pearls are considered to equal those of the Japanese akoya in quality. In addition, new nucleating techniques are being perfected by the Chinese – techniques which are changing the world of pearl farming. Nucleation is the process by which an irritant is introduced into an oyster or mussel, triggering the nacre-producing process which creates a pearl. The Chinese are starting to use smaller pearls as the irritants used to create larger gems, resulting in all-nacre round (or almost round) pearls. The resulting pearls are so natural in size and makeup that they are virtually indistinguishable from “natural” pearls. The overall result is that the average consumer can now purchase the highest-quality pearls at reasonable prices. And Chinese pearl cultivation techniques continue to improve, created by a market-driven need to improve quality while continuing to reduce costs. Pearls continue to reflect the shrinking divide among the classes in terms of gemstone accessibility. What used to be limited to the rich and to royalty is now available to everyone, and we have the Chinese – and other pearl farmers around the world – to thank for it.